QR codes or quick response codes are brilliant to use in the classroom. They are basically machine-readable labels that contain information about the item to which attached. You can create them easily on the website QR Stuff. Simply choose what you want to link to (text, websites, images, videos etc.) and then select a colour and the QR code is instantly generated; ready to be shared, downloaded or printed. Once printed, a QR scanner app needs to be downloaded. There are many to choose from on the app store and Google Play. 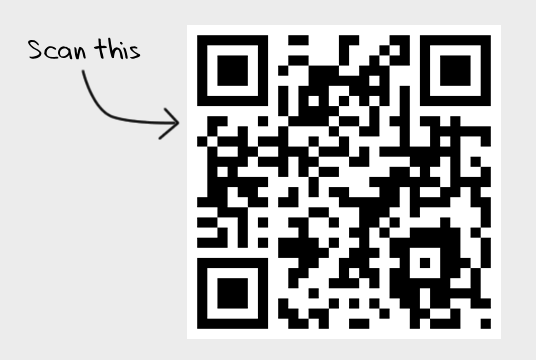 How did I use QR codes in my lesson? I did a maths lesson where I made QR codes and linked them to division problems. I hid them around the school and the students had to find and solve all 6. 1) Find and then scan the QR code. 2) The word problem pops up on the screen. 3) The pupils work out the answer then look for the next one. How else could QR codes be used in lessons? Link them to a website that will be used in a lesson (this saves the students typing in a long URL). Link them to a useful video or resource. Ask the students to generate their own QR code to link to their work – great for sharing and peer review. Students can stick a QR code inside a book and then link it to a book review they have done. Communicate with parents – send them links to the class blog or notices. Orienteering: the QR code gives a clue to where the next one is. Make a ‘scannable’ display where videos and pictures of work appear. On a worksheet, the answers could be in a QR code. Pupils could self-mark by scanning for the answer after they’ve completed a question. Don’t forget to scan the QR code below to like my Facebook Page! Have you used QR codes? How? Leave a comment below. Previous Guest Blog Post: How To Develop Your Study Skills. I’m gonna definitely use it. The idea itself is excellent. Thanks for sharing. That’s my reflection using QR codes in class.. Please have a look and comment on the post .